We’re hitting the road for a weekend of shows around the North East. 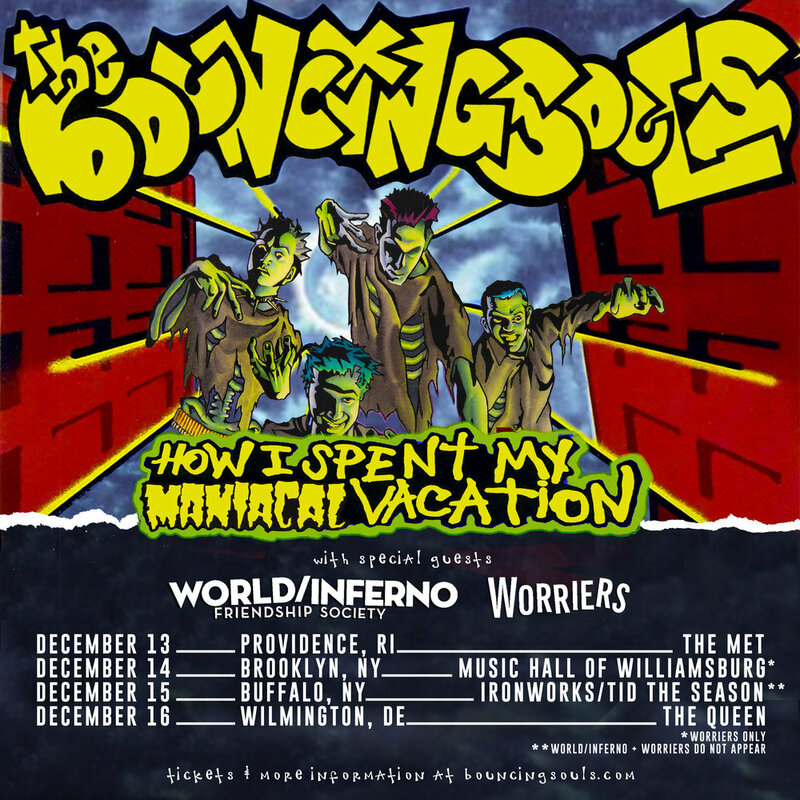 We’ll be in Rhode Island and Delaware with World/Inferno Friendship Society and Worriers…. Brooklyn with Worriers… and we’ll be in Buffalo, NY for a sold out gig with Everytime I Die, The Menzingers, Turnstile, Angeldu$t and more. That one is sold out but the headline shows go on sale now! 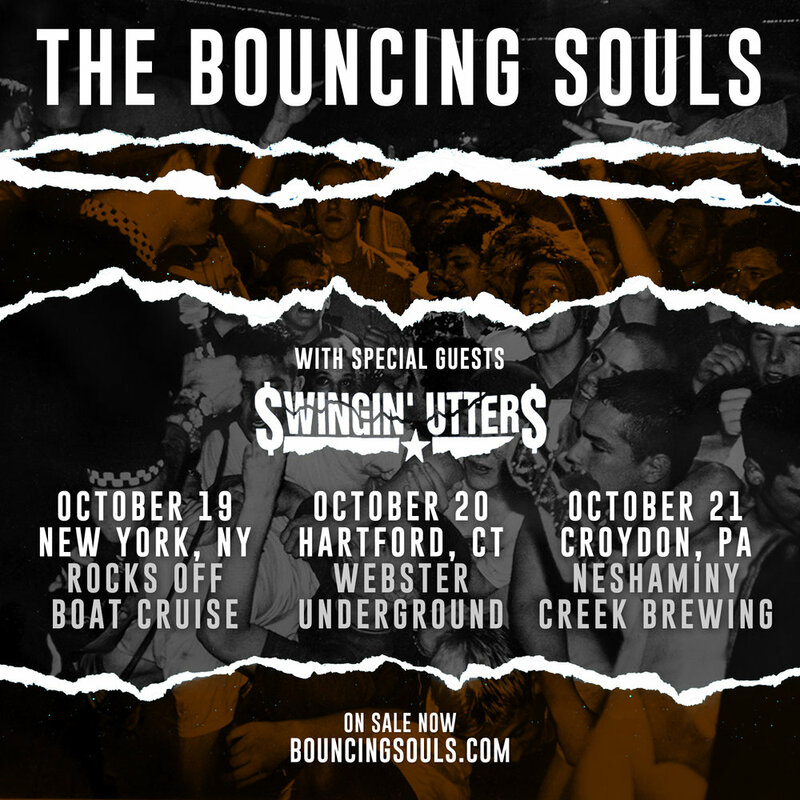 We're excited to be playing a weekend of shows with our buds, Swingin' Utters! Tickets are on sale now and Croydon, PA at Neshaminy Creek Brewing is already sold out! Introducing 'Private Radio' our new Spotify playlist featuring what we're currently listening to and excited about. The first edition features all of the bands playing the 2018 Stoked For The Summer festivities.. that includes the pre-show, main show and after party. Check it out and be sure to follow. Stoked For The Summer is coming up August 3rd and 4th. We have a great pre-show at the House of Independents on the 3rd with Paint It Black, Screaming Females, Give, Hirs Collective and Bacchae. August 4th is the main show where we will be joined by Against Me!, Titus Andronicus, The Smoking Popes and our old friend, Tim Barry. Immediately following that, the FREE after party will kick off at The Wonder Bar with The Battery Electric and The Ratchets. Ari Katz (Lifetime, Beach Rats, etc) will be DJing into Sunday. We have two new ringer tees available in our web store along with a bunch of other rad stuff! Check it out! We're hitting the road with Tim Barry for a few shows on our way to Camp Punk In Drublic. Tickets are on sale this Friday! 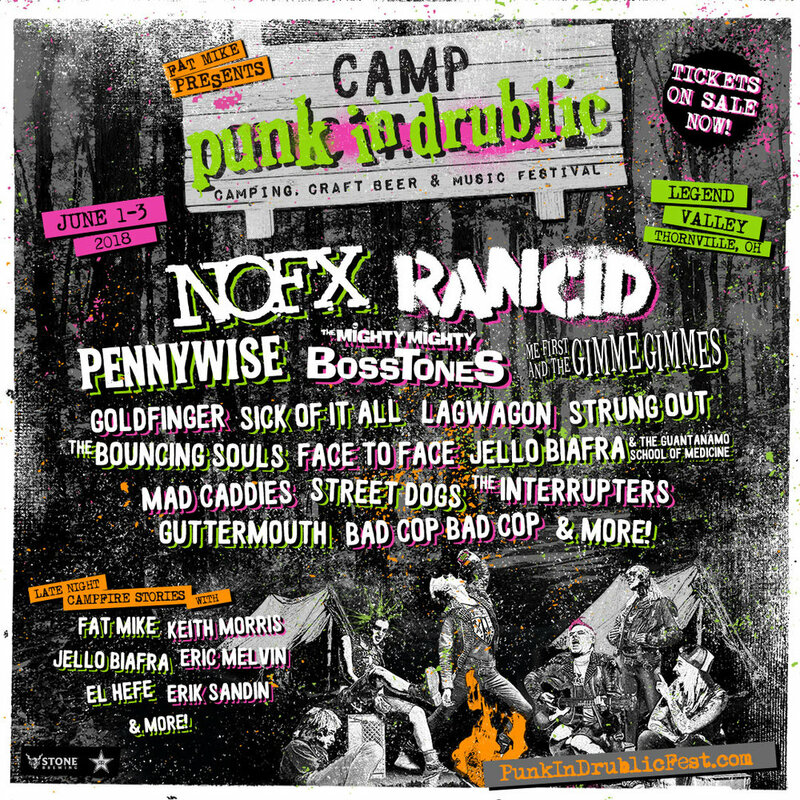 We'll be in Ohio in June for Camp Punk In Drublic! We're joined by an amazing lineup! 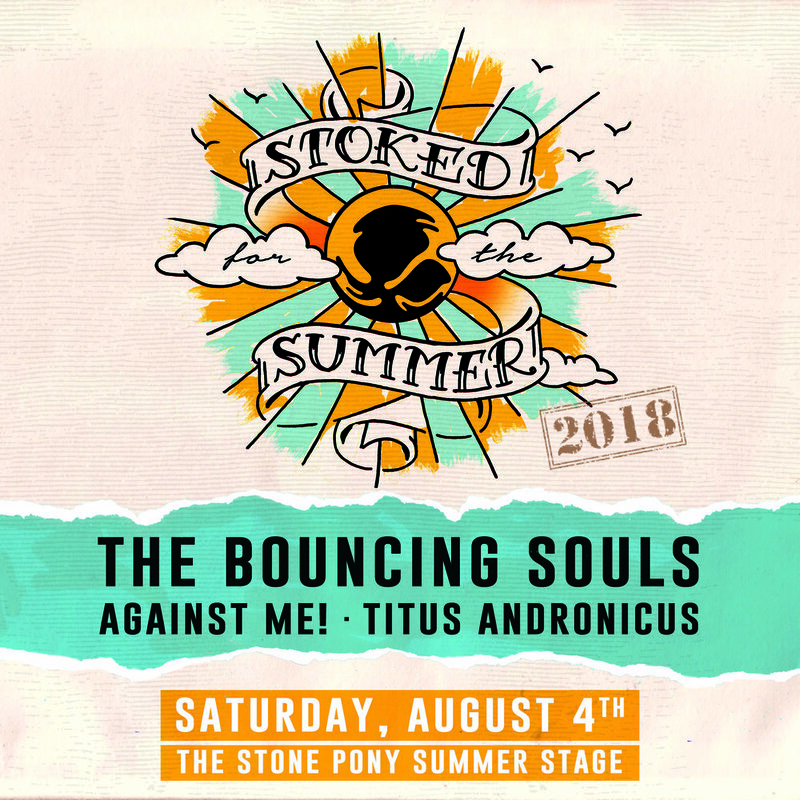 Stoked to announce that Stoked For The Summer is returning to Asbury Park on Saturday, August 4th! We will be joined by Against Me! and Titus Andronicus. More bands and festivities to be announced! Tickets go on sale Friday at 10am! Starting off our 2018 with three shows! First up is an acoustic show in New Jersey with our bud, Jared Hart. Then it's two shows in Albany, NY and Lancaster, PA with Iron Reagan and Crazy & The Brains. We're looking for YOUR input to help craft our setlist for this months 3 night stand in Denver. 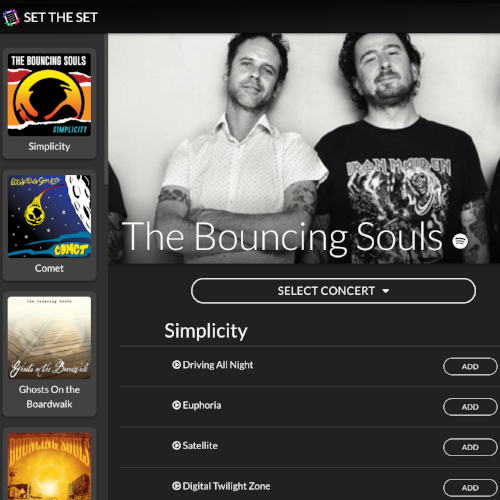 Head to Set The Set to curate your own setlist and have your say! We just launched a ton of new items in our Cold Cuts Merch store, including a 'Neurotic Blend' Coffee Gift Set featuring a 10oz bag of coffee, a mug, a Drink Coffee & Destroy t-shirt and a screen printed box! Additionally, we have lighters, scarves, pink/shot glass sets and vegan wallets! Check it all out, here. 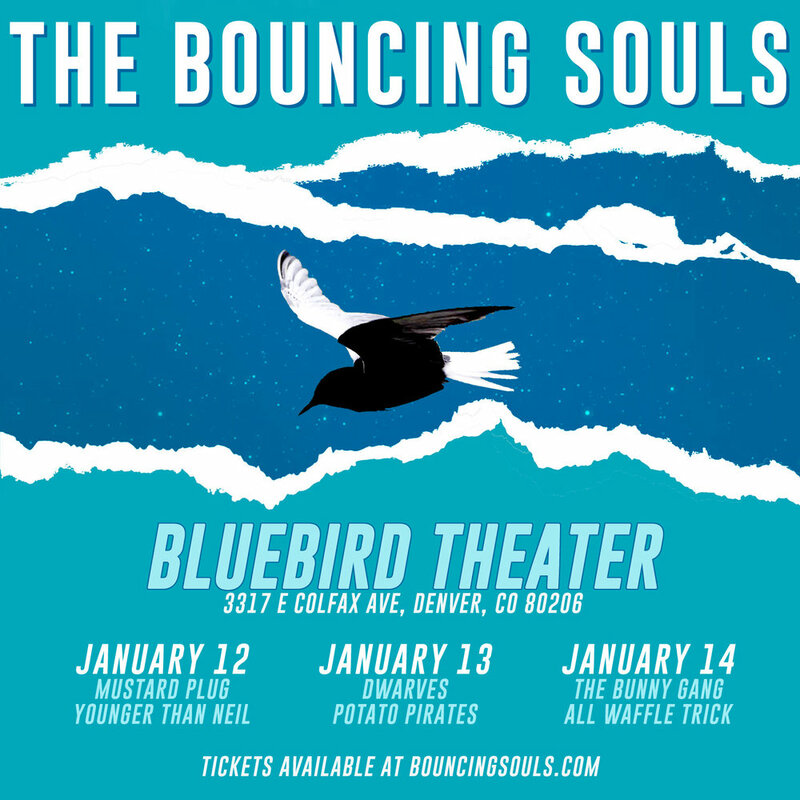 We’re starting off 2018 right with a trip to Denver for three shows at the Bluebird! It’s a different bill each night! Tickets on sale now! 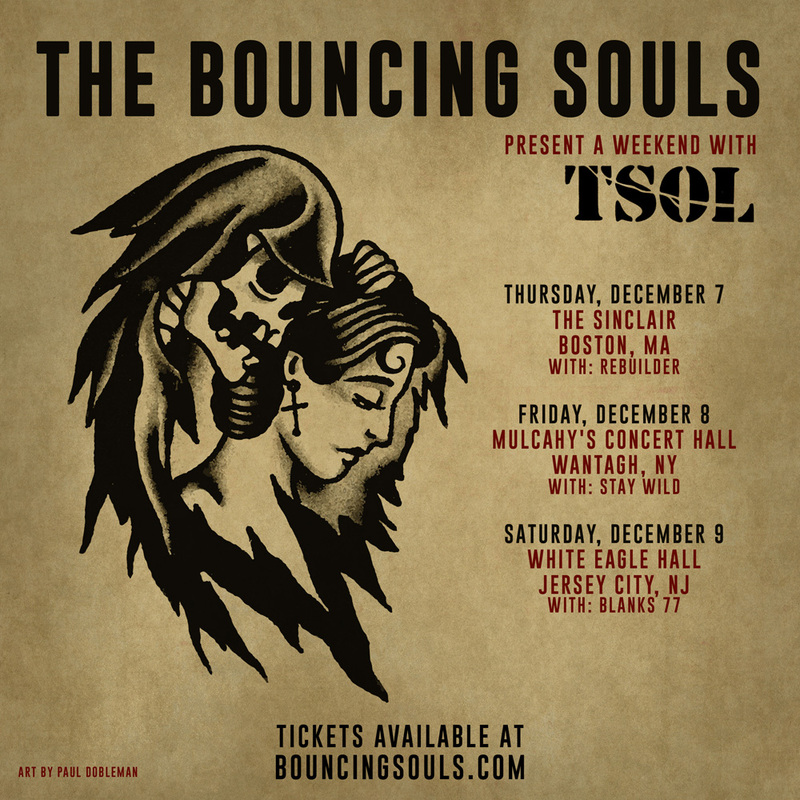 We’ll be playing Boston, Long Island and Jersey City this December with T.S.O.L.